The portfolio of the big and tall suits covers some crucial aspects in the contemporary fashion trends. These attires are exclusively designed for the men with bigger and taller built than usual that promises them the optimal fitment and enable them to show style. It is only till the recent past that men who had bigger and taller built than usual were compelled to compromise on their fashion pursuits as the fashionable suits were designed only in the standard of the average physique. Hence, a good count of men was left outside the circle of the trendiest fashion trends and they had no other options that to be happy with the suits that fits on their bigger stature merely by the sizes. The evolution of the suits for the bigger and taller men accommodated these men within in mainstream of fashion trends. To address the business dressing and formal attiring needs of the stylish men with bigger than usual built, the big and tall 3 piece suits come as the most relevant and delightful options. First of all, these suits promise the perfect fitment, no matter what taller or bigger a man can be. Aside, it adds the flairs of sophistication and elegance to the appearance of the men that accentuates the grace of their taller and bigger built, rather than hiding it. As tips while buying the big and tall suits, you need to remember that you require those attires that would give a proper shape to your figure. In instances you pick those suits that tend to hide the shape, you end up looking more awkward. 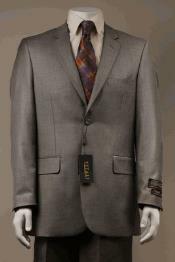 The portfolio of the big and tall mens suits that you get at www.mensusa.com promises you the highest dividend on the money you invest to purchase these suits. 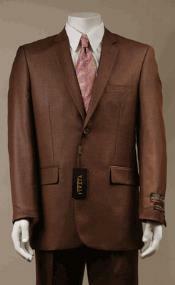 The suits are fabricated with the top grades of fabric that gets fabricated with sheer mastery. 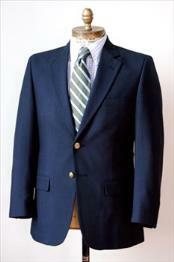 The suits have equally diligent options for the formal and casual dressing needs. This portfolio addresses the call of the bigger and taller men with the most ravishing solutions. Hence, it would not be the slightest of the over statement if you say that the big and tall suits had been able to make men's fashion more universal wherein the wearers, irrespective of their physical built have delightful options of attires to pick. You need not to be concerned about where to get the big and tall suits or what can be the probable costing for these attires. You get an inexhaustible portfolio of suits for the bigger and taller men at the top fashion retails online like www.mensusa.com that are extremely widespread for its options, both on the formal and casual attiring perspectives. The good thing is that the store offers these premium attires at reasonable rates and offers lucrative deals and discount to facilitate the buyers by opportunities to buy at lesser intervals.